Stakeholder management is crucial for project planning and execution. It involves developing relationships with project stakeholders in order to identify objectives and address their expectations. A stakeholder analysis first identifies the individuals, groups, and organizations who have a stake in a project or program, prioritizes the stakeholders based on their level of interest in and influence over the project, and finally seeks to understand more about the key stakeholders in order to engage them with an effective communications plan. The benefits of performing a stakeholder analysis include gathering opinions at an early project stage to help ensure buy-in and get insight for project improvements, acquiring resources for project support, clearly communicating the benefits of a project to stakeholders, and understanding stakeholders in order to anticipate reactions and make project adjustments. The information collected in a stakeholder analysis is vital for developing a communications plan that supports the needs of stakeholders and therefore, the success of a project. To assist in your analysis process, we’ve provided several stakeholder analysis templates in Microsoft Excel and Word formats. Additionally, we’ve included templates in Smartsheet, a real-time work execution platform that allows you to better plan, track, and report on project details. Stakeholders include anyone who may be impacted by, or have some vested interest in or influence over the outcome of a project. They may be internal, such as project team members, company executives, or specific departments. Stakeholders can also be external, such as clients, community leaders, and industry influencers. The stakeholders with the most power and interest are the key players that need to be identified and managed. Those with less power and interest still matter, but they will not be the focus of your communications plan. These players need to be informed and satisfied (and some may be particularly useful during a project), but they carry a lower priority than key stakeholders. A stakeholder analysis can be represented with a visual map, and is often presented as a grid or matrix that measures power and interest. A simple 2-by-2 matrix can help you divide stakeholders into those who have high power and interest, high power and low interest, low power and high interest, and low power and low interest. This visual representation makes it easy to see which stakeholders should receive the most attention. Those with high power and interest should be engaged closely, consulted with often and kept satisfied, while those with the least power and interest should merely be monitored and kept informed using lower-effort, general communications. However, keep in mind that it’s also possible for some stakeholders who are initially identified as low power and low interest to get moved into a higher interest category. After adding stakeholders to the matrix, you can identify relationships between them - represent these relationships by drawing lines of influence to connect the names. This can create a deeper analysis by revealing which stakeholders have influence over others. It’s also possible to use a branching mind map to view stakeholder interest and relationships, or to simply make a list of stakeholders grouped by priority. Regardless of the mapping process that you use, a stakeholder analysis will help you identify, prioritize, and effectively engage with stakeholders. If you’re dealing with a large volume of stakeholders, a database may be required for the analysis, but for smaller numbers, a visual map can be an easy and useful tool. We’ve already mentioned the main components (identifying, prioritizing, and understanding) needed to perform a stakeholder analysis. Here are a few things about each step to keep in mind as you embark on this process. Identifying Stakeholders - If your list of stakeholders includes organizations, determine who the individual stakeholders are within each organization so you can target your communications appropriately. If your initial brainstorming session results in a large number of stakeholders, consider grouping them by interest, and then assess their importance within each interest group. 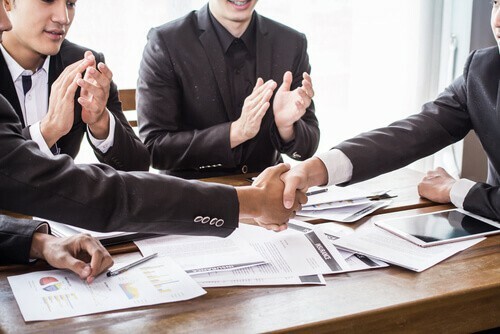 For example, you may have stakeholders whose primary concern is financial, and others who are interested in business reputation or the environmental impact of a project. Within each of those groups, some individuals will hold more power and influence than others, making them a higher priority. Prioritizing Stakeholders - Mapping stakeholder interest and influence on a matrix will help you identify the key stakeholders and the actions needed to manage them (based on their varying levels of importance). As part of this step, you may want to identify which stakeholders are likely to support your project and which ones may try to block it. 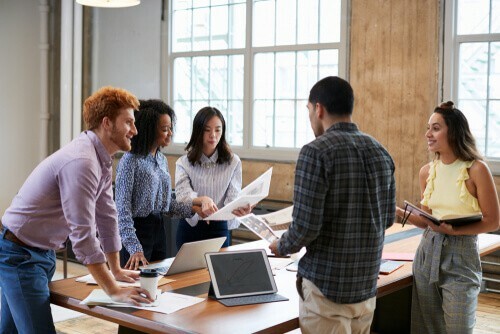 Powerful stakeholders can influence a project in a positive or negative direction, so it’s important to engage them early on and maintain the right level of communications throughout a project. Understanding Stakeholders - What motivates your stakeholders? What resources do you need from them? How will you deal with opposition from critical stakeholders? What is the best method of communication for different stakeholders? Analyze your list of stakeholders to get a better understanding of their interest in the project, what information they will want from you, who influences their opinion, and any other details that will inform your communications plan and may influence project decisions. 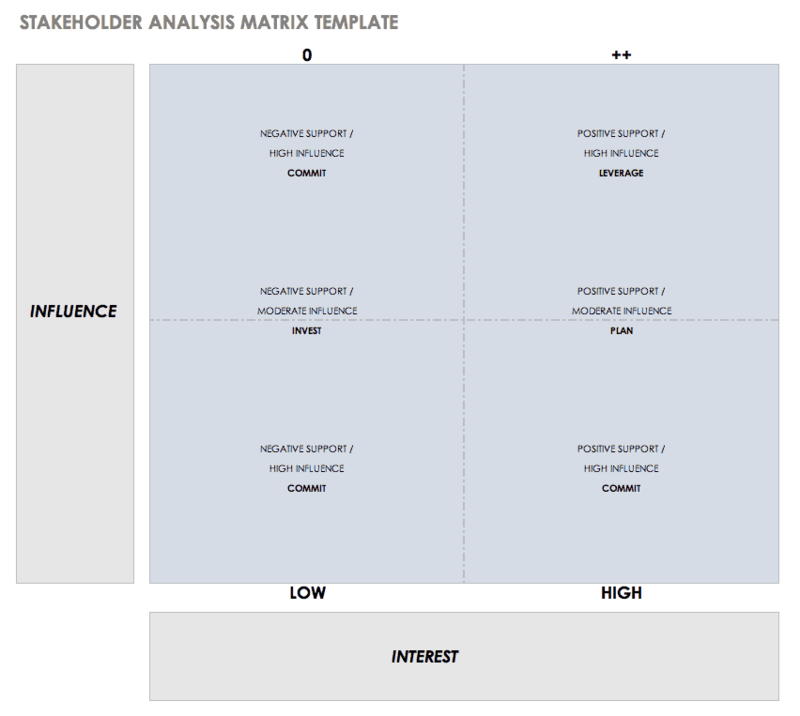 This stakeholder analysis template was designed with program managers in mind. It provides a simple spreadsheet for listing stakeholder names, roles, and interests along with communication goals and methods. You can include additional notes on stakeholders to get a comprehensive view of their attitudes, influence, and anything else that might be pertinent. The template can easily be edited to include more columns or different information as needed. 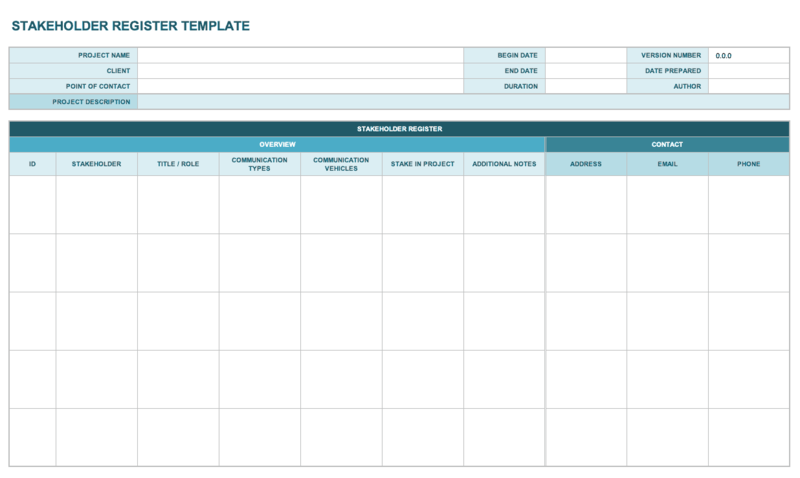 This stakeholder management plan template includes a spreadsheet for detailed analysis as well as a matrix for mapping stakeholders. Use the spreadsheet to list individuals and groups, their motivations, expectations, and level of influence, along with details of your stakeholder management plan. The matrix provides a visual map of stakeholders and a snapshot of your plan for managing them. This matrix template allows you to map which stakeholders have high or low influence over and interest in your project. Organizing stakeholders into each quadrant makes it easy to see who needs the most attention and who can be monitored with less effort. This is a useful tool for strategizing and creating an effective plan of action for stakeholder management. 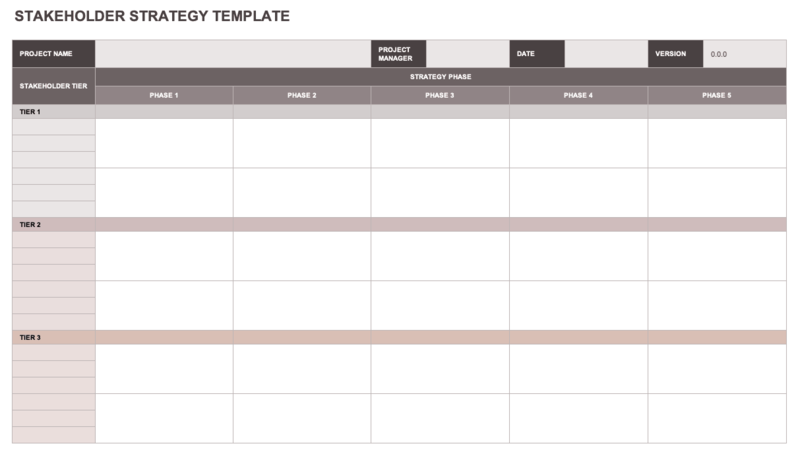 Use this template to list strategies for engaging stakeholders over time or during different stages of a project. Stakeholders are divided into prioritized groups, and plans for engagement and communication are listed for each group. This provides an overview of your management plan that can then be broken down into greater detail as you consider how to work with specific individuals. If you need a simple log for tracking stakeholders, this register template provides columns for basic information: stakeholder names, contact info, communication methods, and each stakeholder’s interest in the project. You can use this template as a reference tool and update it throughout the project lifecycle as changes occur. 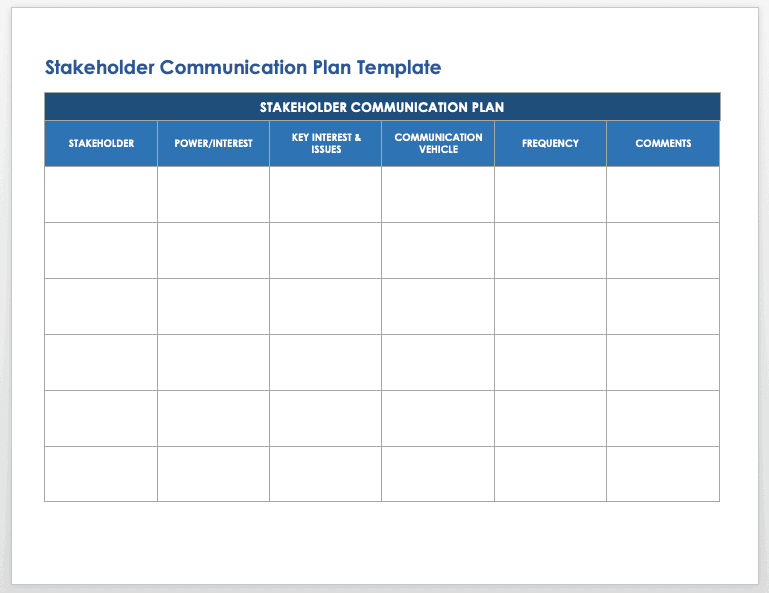 Create a simple communications plan document showing stakeholder power and interest, the frequency and type of communication for each stakeholder, and pertinent comments. This template can be included as part of a comprehensive project management plan. Use it for planning communications, tracking relevant details, and informing your project management process. Having a thorough, visible, and collaborative project plan that loops in key stakeholders is important to the success of your projects. To ensure that your projects reach the outlined goals and meet stakeholder expectations, consider using a tool that enables you to plan, track, automate, and report on project details, make updates in real-time, and track progress from anywhere. Smartsheet is a work execution platform that enables enterprises and teams to get from idea to impact - fast. Top project management leaders rely on Smartsheet to help align the right people, resources, and schedules to get work done. Use Smartsheet to create consistent project elements, increase speed, and improve collaboration with scalable options that fit individual work preferences. Hold yourself and your team accountable, improve visibility into team priorities, and ensure nothing slips through the cracks. Try Smartsheet to discover why project managers around the world use it to deliver projects on time and on budget. Keep your stakeholders in the loop by creating strategic communication plans. Maintain communication and increase transparency with these best practice tips. Streamline your project planning with ready-to-use project management templates in Excel.